A pure pressed mineral foundation from jane iredale that is made from micronized minerals. These micronized minerals are free of synthetic chemicals and oils. Gives up to 40 minutes of water resistance. 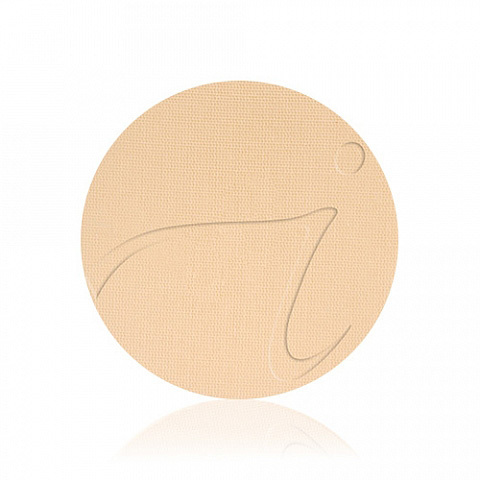 jane iredale purepressed base mineral foundation refill is slightly more shear and matte than the loose powders. A pressed mineral foundation that is a 3 in 1 product. It is your foundation, concealer, and dry broad-spectrum sun block (UVA & UVB protection). A matte foundation for those with an oily complexion or who prefer a matte look. Available in 23 beautiful shades in warm, neutral, and cool undertones to find the perfect match for your skin. Applied best with the jane iredale Handi Brush or jane iredale Handi Retractable Brush. Antioxidants such as pine bark and pomegranate extract that assist in antioxidant protection.